* Please note: All of our instructors are not listed here. For more information on the instructor best suited for you, please contact us! Songwriter and Guitar Specialist Micheal Lander has taught for 12 String Studios since 2004 and has a strong foundation of Blues, Rock, Country, Classical, and Jazz influence. Even with over 25 years experience and studying music under the tutelage of two Juno Award winning musicians: Hugh Fraser and Brad Turner, he still continues to learn new things to improve his craft and share it with anybody interested in learning. A Top 25 Finalist for a Canadian Songwriting Competition regarding his song called "Long, Cold Run", Micheal also leads the Songwriters Association of Canada Saskatoon Regional Writers Group and owns the Studio XII Music & Dance Co.
From his lessons, you'll find he brings a warm and comfortable environment to students of any age above the age of six. Not only will he teach you how to play songs you know and love, he can and will teach you how to improve your technical ability and musical knowledge through physical exercises and theory studies which can apply to all songs. One of his greatest attributes is his ability to teach improvisation and analyze songwriting. “My guitar playing has definitely improved thanks to Micheal. The quality of musical instruction and education is great especially if you put the time and effort into honing your skills!” - Lucy V.
Sean Bougie has been playing guitar since 2005, and has been teaching since 2012. He has won numerous awards in guitar including the Metis Recognition Award, and the Award for the highest grade in Guitar throughout Saskatoon. Sean is currently studying at the University of Saskatchewan towards a PhD in Musicology. Sean specializes in Classical and Rock/Metal genres of guitar, but there is no style of guitar that he cannot play. Other genres of skill include Flamenco, Jazz, Blues, Folk, World Music, Video Game/Television Soundtracks, and much more. In addition to guitar Sean is also able to teach Bass Guitar, Ukulele, Double Bass (both with and without a bow), Banjo, and Lute. Beyond performance Sean has a strong grasp on theory and music history, and can teach music theory. Sean also plays in an active, local Rock band called Witherfire as lead guitarist and vocalist. Putting a strong emphasis on performance practices, Sean offers a challenging repertoire of sequences and songs that will put you, the student, on the fast track to guitar wizardry. Lessons are tailored to the individual students’ needs, starting with fundamentals and leading to transcriptions of any song the student desires. Preparation for University level music auditions are available upon request, and Sean is able to teach the Royal Conservatory of Music. Theory Workshops that are designed to prepare a musician for University auditions are available to any music student regardless of instrument. David is a multi-instrumentalist, songwriter, and composer and has been playing music for over 20 years and teaching for over 10 years. Guitar, voice, piano, ukulele, banjo, lap-steel guitar, bass, and drums are his favorite instruments to play. David also has over 10 years experience as a recording engineer and live sound technician. David loves authenticity in all genres and has spent the past several years practicing voice with Silvia Nakkach. Before that David lived in Chicago where he attended Columbia University and Old Town School of Folk Music where he learned from some of the greatest artists and teachers in the world. Typical lessons with David consist of ‘fun with fundamentals’ alongside the exploration of the students’ musical interests. He likes to keep things fun and simple while teaching students to improve their abilities and knowledge of their chosen instrument. Students will learn to play and understand songs while working towards finding their own unique voice as an artist. Lawrence is a versatile and dynamic Piano Teacher with 10 years’ experience in music education. As a highly motivated educator of piano and the performance arts, he’s adept at creating entertaining leaning environments and arranging students to enter any competitions and/or RCM exam as it suites the student interests. Lawrence specializes in younger students and new piano students. 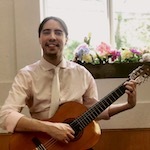 Most of his students received first place in the recent Saskatoon Music Festival and all of his students achieved first class honour and up at different levels of RCM exams. 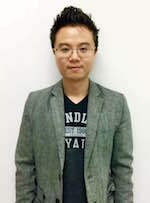 He began piano lessons at the young age of four and studied with Lucia Aleksandrova, head master of Foshan Liushikun Piano School, who holds a master’s degree in piano from Moscow Conservatory. Lawrence achieved an honour title with Guang Dong Province in 2010. He continues his career as a piano teacher when he came to Canada and became a Saskatchewan Registered Music Teacher. He a co-founder of the Saskatoon Chinese Musicians & Artists Alliance and is also a song writer and music producer. He’s fond of both classical music and modern music. 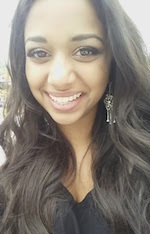 Kaitlyn started piano lessons at the age of three and has always enjoyed playing and performing. She has completed the RCME Grade 8 Practical, and Advanced Rudimentary Theory Exams. 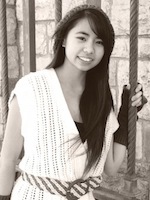 She has participated in several piano festivals and was awarded first and second place numerous times. Music has always been a big part of her life and she appreciates the opportunity to share it with children and to motivate them to reach their full potential. She likes her students to have fun and enjoy learning, while still having a well-structured lesson. As a teacher, she focuses on technique, theory, as well as a wide variety of songs that interest the students. She feels that the more effort you put into your piano experience, the more success you will have in reaching your potential. She's a dedicated teacher and is always happy to answer any questions or take the time to work through any challenges that her students may have. Jhena has received First Class Honours in the RCM Grade 10 Practical Exam along with Intermediate History and Harmony. She has completed her Advanced Rudimentary Theory and has also taken some music courses at the University of Saskatchewan, which included harmony, counterpoint, and analysis. Other musical achievements include receiving first place at the Saskatoon Music Festival for the Romantic Piano Solo RCM/Grade 9 competition and first place in the Pedagogy class for the Gordon Wallis scholarship competition. While Jhena furthers her music studies in plans to receive the ARCT certificate, she will also use her musical ability in hopes of helping others in their own self-discovery through music. Lessons will include a strong emphasis on basic techniques and theory, which will underlie the practical skills. Within these lessons, she aims for students to recognize that music is an expression to be creative and to find their own uniqueness and strengths. She feels that her role as a teacher is to encourage her students and be a positive influence in their learning experience. Not only is it important for the student to learn from the teacher, but it is important for teachers to learn from the student as well!